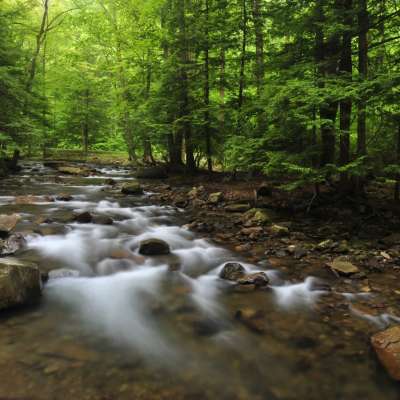 With more than 70 miles to backpack, hike and explore, the Laurel Highlands Hiking Trail (LHHT) takes visitors through state parks and forests to experience challenging terrain and natural beauty. There is so much to do and see on the LHHT, so we put together this short guide with some tips, events, suggested routes and photo ops that can enhance your trail experience. Do you need help planning your hike? Contact our outdoor guru, Stacey Magda, at 724-238-5661 x111. The total trail mileage is 70 miles. The LHHT stretches from Ohiopyle State Park to the Conemaugh Gorge near Johnstown. The trail is meticulously maintained by the Laurel Ride State Park Complex team and with bridges over major creeks to keep the path open and clear 12 months a year. 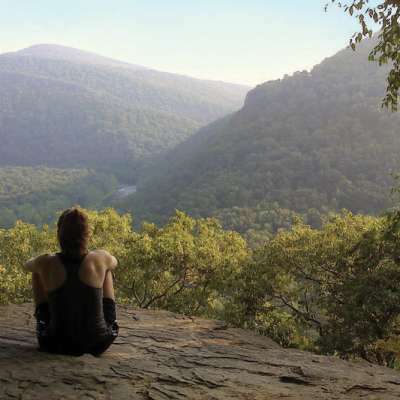 The Laurel Highlands Hiking Trail runs through numerous state parks in the Laurel Highlands, and connector trails make it easy to access the trail for a day hike, detour to another location or exit the trail. Eight overnight shelter areas are placed every 6-12 miles along the trail. Reservations and a small fee are required. Overnight Adirondack-style shelters, tent pads and comfort stations are stocked with wood and non-potable water is available. Shelters also have pit privies for restrooms. Bring your camera! 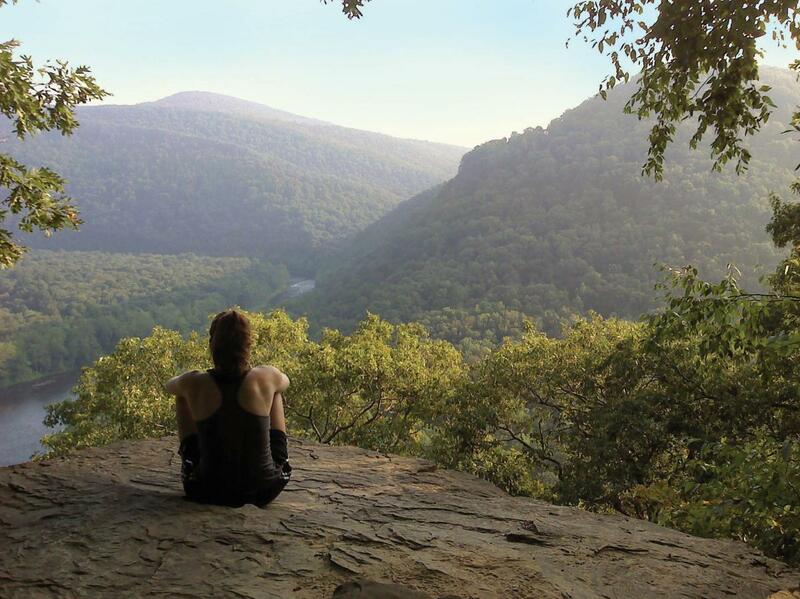 The Laurel Highlands Hiking Trail offers some truly unforgettable sights. Hike to the appropriate mile marker to check them out! Between miles 7-8: Scenic view from Sugarloaf Knob, the third highest point in Pennsylvania. Between miles 12-13: 112-acre Cranberry Glade Lake with a stunning view, especially in the fall. Mile 21.5: Rock outcropping at Middle Fork for a beautiful panorama of the Laurel Highlands. Mile 24.5: Cool off with a quick dip in the stunning Blue Hole Creek. Mile 27: The highest point of the LHHT at 2,961 feet. Mile 29: See a spectacular view of Seven Springs Mountain Resort as you cross the slopes. Mile 36.5: Take the bridge crossing the Pennsylvania Turnpike. Near mile 41: Beam Rocks rises 90 feet above the trail and is a favorite spot for rock climbing. Miles 67-69: Multiple locations to see the Conemaugh River and Johnstown. Hiking 70 miles can be intimidating, so we developed a short day hike to see some of the best spots on the trail without big changes in elevation and with plenty of places to bail out and catch a shuttle if you need to. Park at Laurel Ridge State Park, just off of Route 30. This will have you at about mile 46 on your LHHT map. 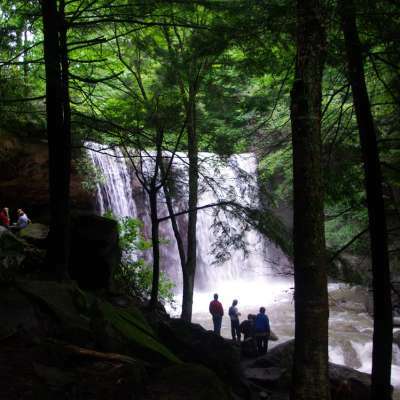 Head south on the trail towards Forbes State Forest to Mile 40 where you’ll be able to take in Beam Rocks and Spruce Run, two of the most popular stops on the trail. Short detours from mile 40 will take you to Spruce Flats Bog, home to insect-eating plants, Laurel Summit, with a commanding view 2,739 feet above sea level, and Wolf Rocks, also great for rock climbing. When you’re done, hop back on the trail to hike back to your car, or call Wilderness Voyageurs or Maple Leaf Outfitters to come pick you up and shuttle you. 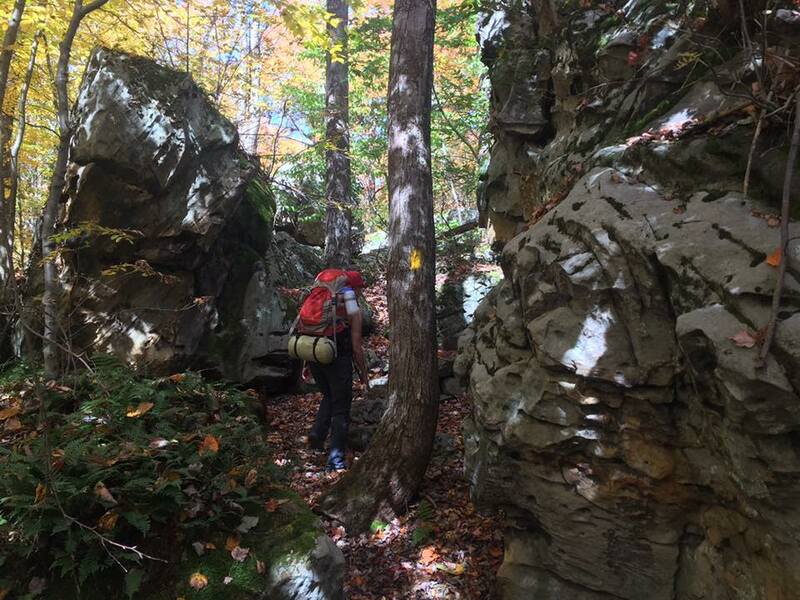 If you’re an expert hiker, the Laurel Highlands Hiking Trail has plenty of ways to challenge you. See how well you can pack for an out-and-back and conquer 140 miles of terrain. Try trail running, where visitors run as much of the LHHT as they can in one day with little to no equipment. For a group experience, check out the LHHT events described below. Every year, the LHHT is host to a variety of unique events to challenge expert hikers or teach beginners how to get started! The Laurel Highlands Ultra is an annual 70.5-mile run for both individuals and relay racers. The Crucible is a three-day extreme journey through the LHHT with a gull gear pack through all 70 miles, with proceeds benefiting veterans. Find these and more events on our events calendar. 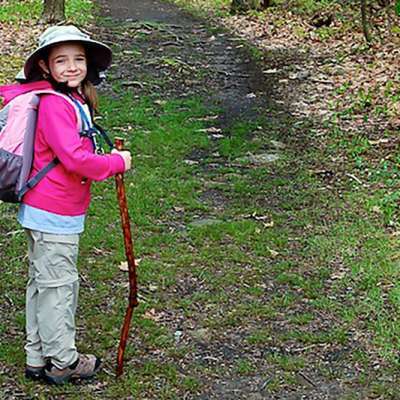 The Laurel Highlands community and partners are here to make your hike on the LHHT a success. 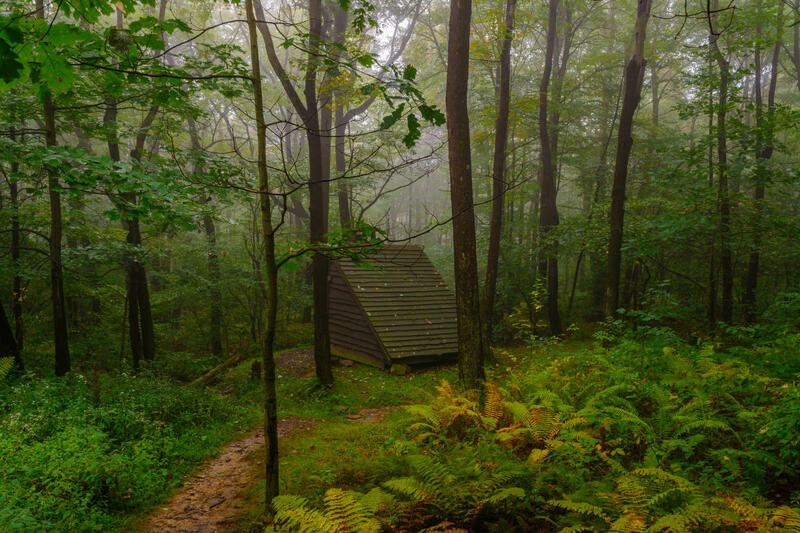 Find maps, shelter reservations and more general information on the DCNR’s website. Get hiking gear and shuttle service to any Laurel Highlands Hiking Trail trailhead with Wilderness Voyageurs. Maple Leaf Outfitters is unique in that their shuttle will take you from your accommodations to your trailhead and then back to your lodging at the end of the night.